Categories include: Beautiful Silhouette and Get Out of Marshall! 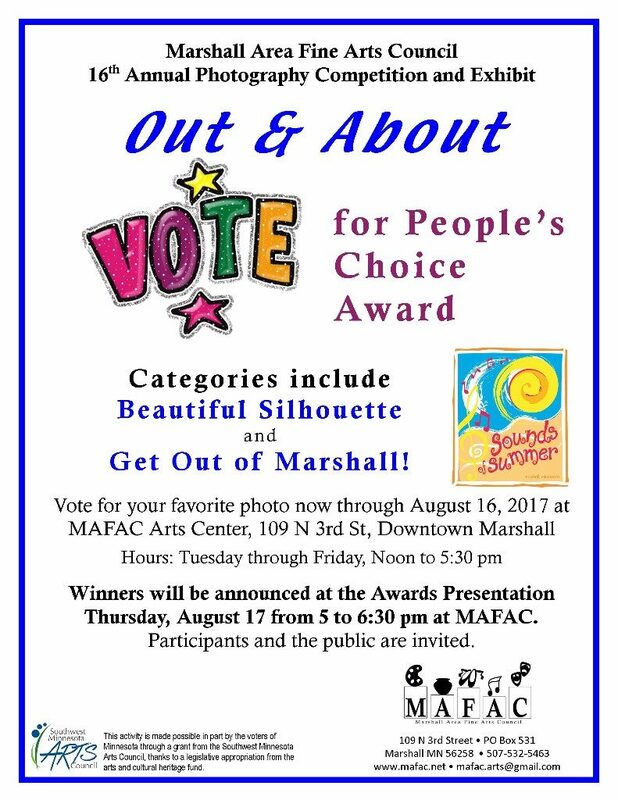 Vote for your favorite photo now through August 16, 2017 at MAFAC Arts Center, 109 N 3rd St, Downtown Marshall. Winners will be announced at the Awards Presentation Thursday, August 17, 5-6:30 pm at MAFAC. Participants and the public are invited.